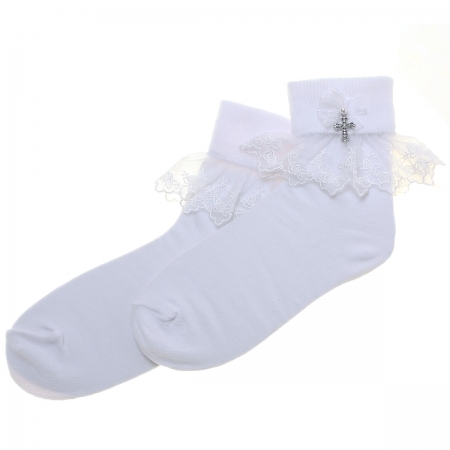 Beautiful white frilly First Holy Communion socks, decorated by rose and leafs patterned lace, finished by a lace bow with a pearl bead and a small diamante cross hanging down the centre. Material is 70% cotton 29% nylon 1% elastane. Sizes are given in UK child shoes sizes.